It wasn’t just any old hoop. It was a MAGIC hoop! 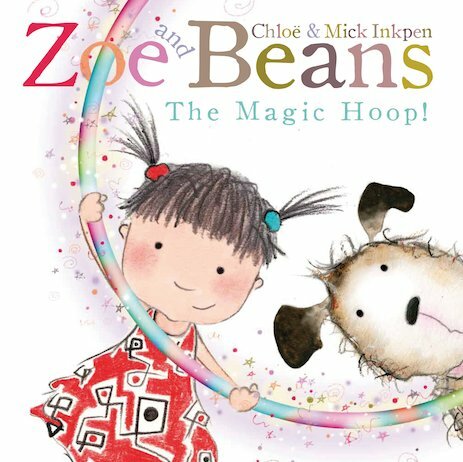 Zoe and her devoted dog, Beans, have found a brilliant new game to play! When Beans jumps through Zoe’s rainbow-coloured hoop, he magically transforms into all sorts of creatures! There’s Beans the flop-eared rabbit, and Beans the crocodile with snappy jaws. 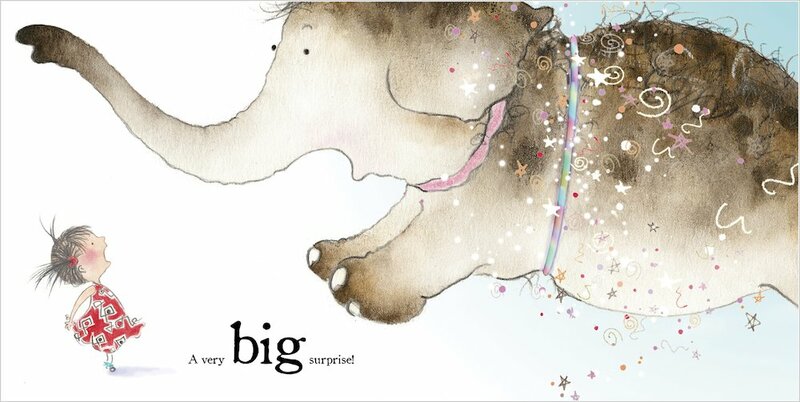 But could Beans the HUGE elephant be a leap too far? 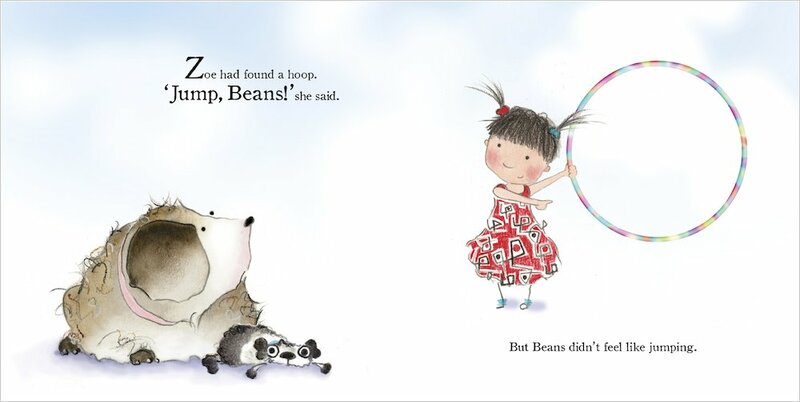 The hoop may be magic but it’s only small – and a great big elephant could easily get stuck! Full of colour and energy, this is the second delightful picture book starring Zoe and her ever-faithful hound.